Word Problems for Kindergarten Students! 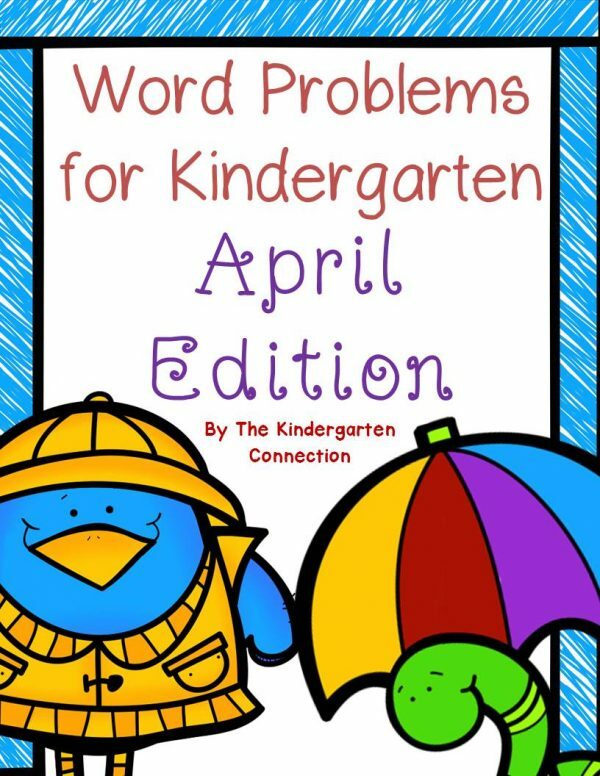 This pack contains 20 addition and subtraction word problems (10 of each) for kindergarten students (addition and subtraction within 10) in the month of April! This pack contains spring themes such as rain, flowers, kites, chicks, bunnies, eggs, frogs, and more! This pack requires little to no prep – just print and that’s it! All items are in black and white and require no color ink, laminating, etc. 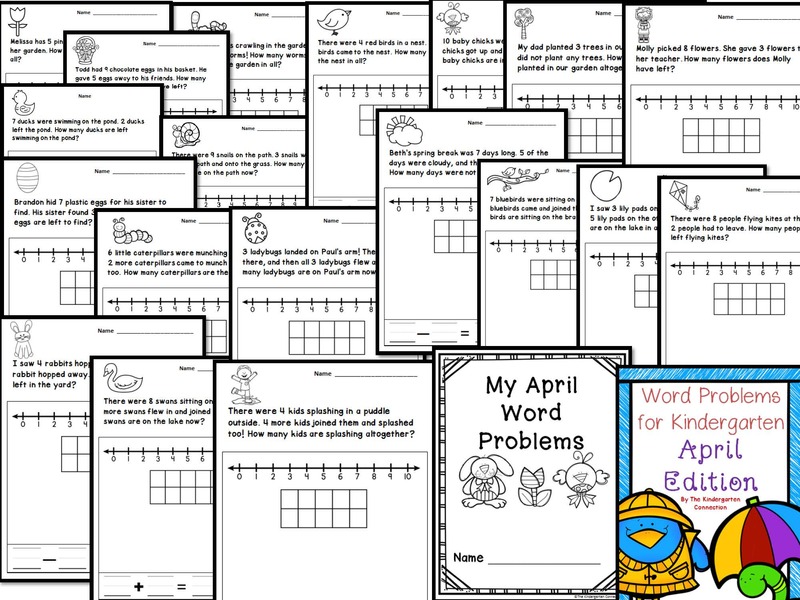 There is also a cover page if you want to have a word problem journal (click on the preview to see the cover page) Simply print the entire pack 2 sided, staple, and your kindergarteners have a word problem journal for the month! This pack was designed with kindergarten students in mind. It is appropriate for 1st graders who may need practice building fluency within 10, but this pack does not contain sums greater than 10. TIPS and Instructions – ***Students listen to or read the word problem. (in Kindergarten, it is almost always necessary to read the problems aloud.) They may use the included number line and 10 frame (both are on every page) or their own pictures to help them solve the problems. They then write the numbers in the equation template which is set up for them. It is up to you if you require the drawings. I often teach my students that using circles or tallies can count as a drawing because I don’t want the focus to be the “artwork.” I am hopeful these help you and your kindergarteners develop word problem practice!